ALA and LITA are heading to Atlanta for ALA Midwinter 2017. Whether or not you will be attending the conference, there are plenty of opportunities to check out what’s happening at the conference. All the LITA highlights are on the LITA at Midwinter webpage. You can find the whole LITA schedule at the Midwinter Scheduler. Most committee meetings are open to anyone whether or not you’re on the committee, so feel free to stop by and check out what’s going on. There’s even a page showcasing the LITA Interest groups managed discussions. LITA’s Diversity & Inclusion Committee is thrilled to provide ALA and LITA members with an opportunity to provide substantial feedback on developing inclusive programming and member services, as well as meaningful membership outreach efforts over the coming years. LITA is dedicated to offering an inclusive community for our members and others attending our programs. This conversation series will be anchored by questions that will help us gauge how to improve in each of these areas: Where are our problems? What opportunities are we missing? How can we better support all of our members and attract and retain a more diverse membership? All are welcome to meet LITA leaders, committee chairs, and interest group participants. We will share information about our recent and upcoming activities, build professional connections, and discuss issues in library and information technology. Whether you are considering LITA membership for the first time, a long-time member looking to engage with others in your area, or anywhere in between, take part in great conversation and learn more about volunteer and networking opportunities at this meeting. Please join the LITA Membership Development Committee and LITA members and friends from around the country for networking, good cheer, and great fun! We’re celebrating our 50th Anniversary as a division – don’t miss it. You can “Buy LITA a Drink” by filling up the LITA tip jar at the bar. Location: Gordon Biersch at 848 Peachtree Street NE, Atlanta, Georgia 30308 (404-870-0805). Even if you’re not going to be in Atlanta for ALA Midwinter you can still participate in the LITA Town Hall on Monday, January 23. Tune in at 8:50am EST and catch LITA VP Andromeda Yelton reviewing the results of the Personas Task Force study and brainstorm how LITA can effectively serve our different types of members. This event will be streamed on Facebook Live. Make sure to like the LITA Facebook page to get a notification when streaming begins. Join your fellow LITA members for breakfast and a discussion about LITA’s strategic path. 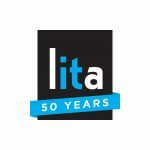 We will focus on how LITA’s goals–collaboration and networking; education and sharing of expertise; advocacy; and infrastructure–help our organization serve you and the broader library community. This Town Meeting will help us turn those goals into plans that will guide LITA going forward. We hope you’ll join us at some of these events in Atlanta, or follow #alamw17 on social media to join the conversation online. 2017, ALA Midwinter Meetings, General information. permalink.